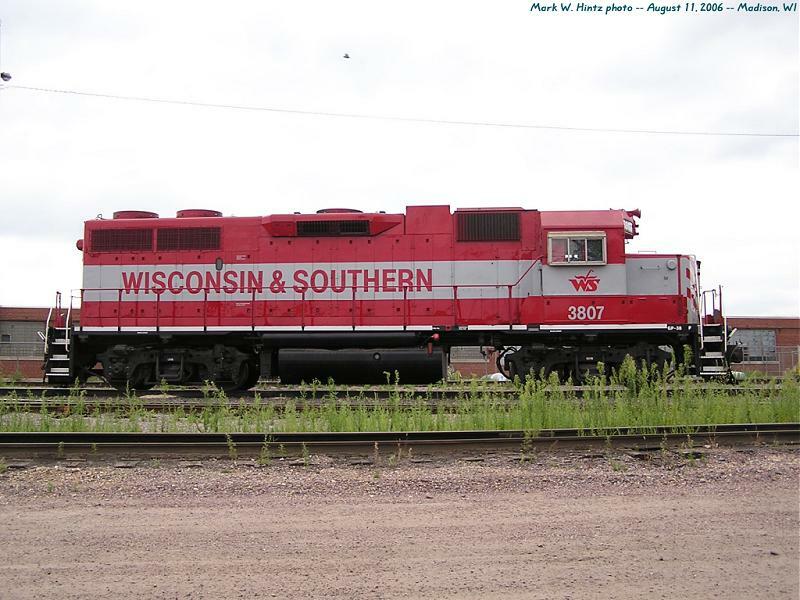 The closing of Canadian Pacific's M&P line due to the work around the Madison Airport provided a unique opportunity to see a decent-sized train run on Wisconsin & Southern's Watertown Sub. Since some of my other plans had fallen through, I decided to make the trip out to Madison to try to catch the train, and MilwBeerNut rode along with me. We had a bit of difficulty finding the MABLT, however, as there was no activity on the scanners anywhere in Madison! After wandering around town, we headed back out to Sun Prairie, where we caught up with the train. Click here to start viewing photos in the album, or click a thumbnail to see a larger view. Press F11 to toggle a full-screen view (in most browsers). WSOR 3808 at Market St.